‘Teen Mom’ Star Fails Drug Test for Opiates and Morphine! Drug tests seem to be a dime a dozen in the Teen Mom cast. As the cast members fight addiction or dependence on drugs, many of them have been tested time and time again as part of court or custody battles. When the tests come back positive, it’s normally not a surprise to family and fans. But this Teen Mom star and their family have been flat out denying drug use for what seems like ages. Now there’s no denying that addiction is still a problem, since he’s just tested positive for opiates. Watching a Teen Mom cast member struggle with addiction can be difficult for many viewers. But at the end of the day, most viewers understand that addiction is not something that is simple to overcome. It’s not Ryan Edwards’ addiction that has recently upsets fans — it’s the people in his life who seem to be enabling his addiction. The Teen Mom OG finale has just aired, and during the entirety of the season, Ryan and his family have denied that he’s using drugs. Ryan has expressed anger toward his baby mama Maci Bookout for not letting him see Bentley, insisting that he’s sober. Now it’s obvious that Maci was right all along, and that Ryan’s family was either enabling his habit or in very deep denial about how bad it was. 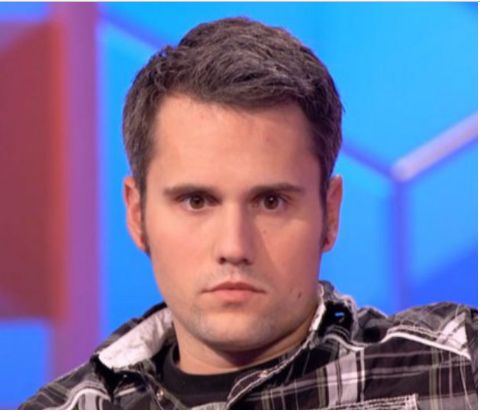 On March 27, Ryan Edwards was busted for heroin possession, and the details of the bust make it clear that Ryan is still battling his addiction despite his and his family’s denial. Police found fourteen hypodermic needles in Ryan’s possession. One of them was loaded with heroin, and there was also a “bag tied in the center console with a dark substance inside,” reports Radar. When the police officer asked what it was, Ryan replied, “It’s heroin and I have a problem.” Now it’s coming out that this problem returned much earlier than March.